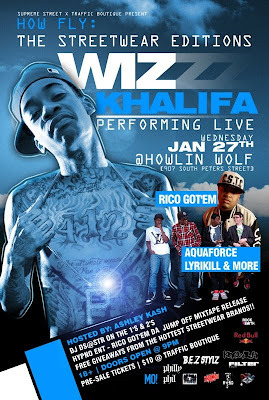 ashlee nicole spills | blog: Wiz Khalifa LIVE at the Howlin' Wolf. DJ DS@STR on the 1s and 2s. Purchase Pre-Sale Tickets at Traffic Boutique, 212 Chartres St., in the French Quarter, or online.